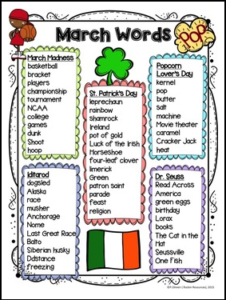 A word list with a March related theme. which is great for projects and activities. I use them mainly for writing stories and poems.